Hey reader! For once, I have something really exciting to share with you. Julie, the owner of Blue-Eyed Girl Lacquer and Wishes of a Blue-Eyed Girl, is getting ready to start her annual depression awareness fundraiser, and for the second time, Wacie Nail Company has made a special edition one-of-a-kind polish for the cause. 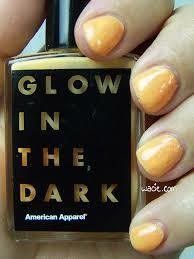 This year’s offering is called Glow-Mo; I’m wearing three coats with one coat of Seche Vite top coat. 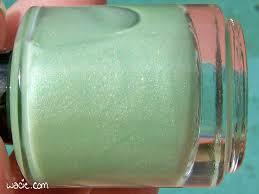 Glow-Mo is a pastel green polish with a green pearl flash, rose pearl flakies, and a slight holo effect. 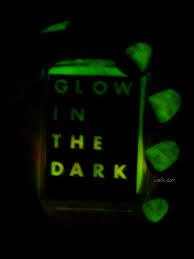 It also glows green in the dark. 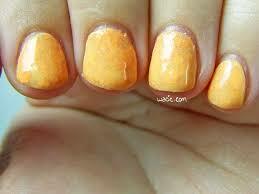 It’s on the sheer side; it took me all three coats to get to this opacity, and it dries with matte finish. These photos were taken in direct sunlight. This is where the holo effect is most visible. 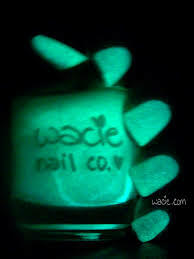 These photos were taken in complete darkness to demonstrate the glow-in-the-dark effect. If I may say so myself, the glow is really bright. I wore this to bed last night and I kept waking myself up with my nails. And, for funsies, I included a photo that’s not in complete darkness; it’s really just my hallway with the lights turned off. 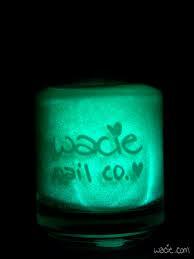 It glows even there. I feel I should mention that that photo is not altered in any way. Looks like an ’80s music video! 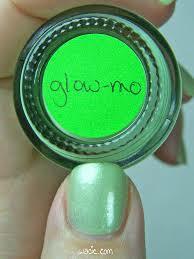 There is only one bottle of Glow-Mo (other than the one I used for swatching, of course), and it is being auctioned on eBay with tons of other special polishes from other makers. 100% of the proceeds goes to benefit the depression awareness and suicide prevention network I Need A Lighthouse. This is a cause that means a lot to me, so please check out the auction. Last year’s auction raised over 700 dollars, so let’s try to beat that number! The auction begins today, 10/31, at noon EDT; you can find the entire auction here. Guess what, reader! My camera is fixed, and Weekend Swatches are back in action! You may notice that this is actually my second post today; that post is important, so make sure you check it out! These photos were actually taken a couple months ago; it was the last Swatch Saturday post planned before the camera broke. 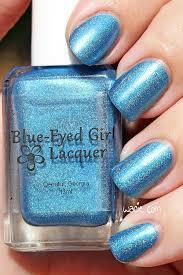 The polish is Blue-Eyed Girl Lacquer‘s Ocean Warmed by the Sun; I’m wearing three coats with one coat of Seche Vite. All photos were taken in direct sunlight. 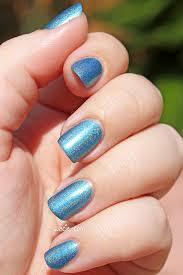 Ocean Warmed by the Sun is a turquoise linear holo with hot pink shimmers. It went on pretty well; it was almost opaque in one coat, and two sealed it up. The color is bright, and the holo effect is pretty strong. it even kind of upstages the pink shimmers, because they’re a bit hard to see. 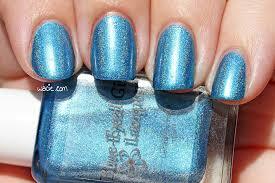 It dried quickly and with a glossy finish; I used top coat to really bring out the holo effect and shimmers. 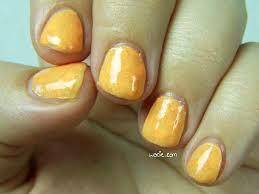 This is a super-summery polish. It’s the color of the sky when I’m near the ocean; it’s bright and cheerful and flawless. I want to live in a universe where the sky is this blue a hundred percent of the time. 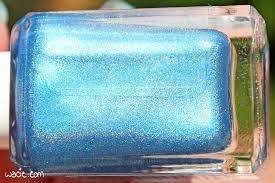 If you follow me on Instagram, you know I used Ocean Warmed by the Sun in my birthday mani. It was just the right blue to match the Nails Inc. glitter I used. I know holos have been around a while, but I still get excited when I use one. It must be how a dog feels every time it gets a treat. 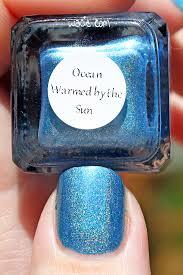 Ocean Warmed By the Sun has been discontinued by BEGL, but other polishes are available in their shop. Happy Monday, reader! 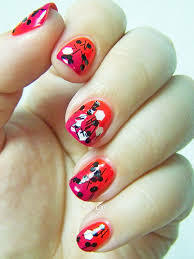 I adore today’s manicure because it’s so bright and busy. The gradient you see was done with Color Club’s Wham! Pow! 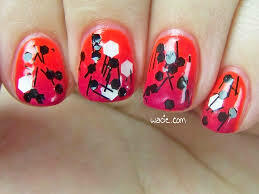 and Sally Hansen’s Magenta Moves; the glitter topper is China Glaze’s Whirled Away. 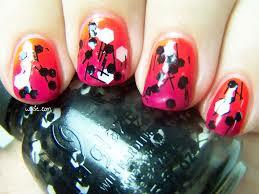 All nails are topped with Seche Vite top coat. I had a ton of fun doing this look today, so I hope you love it! Wham! Pow! is one of the best neons I’ve used in recent memory. It was opaque in two coats, dried with a satin finish, and — the best part — did not require a white base for the full effect. It’s almost painful to look at, it’s so bright. This is a seriously fantastic neon and I definitely recommend it to everyone. Magenta Moves, though a bright color, isn’t as neon as Wham! Pow!, so it kind of keeps the gradient from being too loud and creates the smoky-but-still-bright sunset effect. I fell in love with Whirled Away the first time I saw it. This was back when those black and white glitter toppers were at the height of their popluarity; this was the first one I got, probably also the first one I ever used. My favorite thing — simultaneously the best and worst thing about this polish — is that it sets itself apart from the others by using much larger glitters. I love big glitters, cannot lie, etc., but I feel like it makes the polish go faster. I’ve only used it twice, but the bottle is already half empty. It’s so sad. It’s also kind of a pain to apply, because the slice/bar glitters are so long they sometimes hang off the nail like eyelashes, and sometimes it was hard to get the glitters to spread evenly over the nail, but it still looks cool even when it’s a little lopsided. Unrelated: I miss swatching! I noticed today that it’s been two months since my Canon broke; I thought it would only be in the shop a few days and now I have no idea when I’m getting it back. 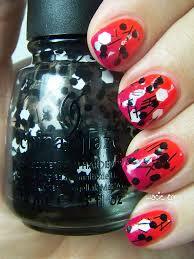 I’m so sad, I really miss wearing all those new polishes! I’m kind of afraid to use things now because I can’t document it as easily. Here’s hoping it’ll come back someday soon. Happy Monday, reader! Happy Tuesday as well, if applicable. 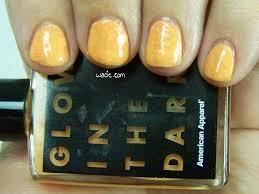 My look today is one I’ve been looking to try for a while: matte glitter sandwich with glow in the dark polish! It doesn’t translate well to photos, and looks a bit weird. I really regret that, but it looks cool in person, so I’ll need you to trust me on that. Also, this is probably the last manicure of my twenties. Yeah. I turn 30 on Saturday, and I’ll do a birthday mani then. Until then, this will carry me through the rest of the week. The last week of my twenties. I already feel as though the sun is setting. 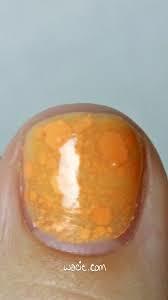 Anyway, the sandwich I have here is made with Formula X for Sephora’s Firecracker and American Apparel’s Jupiter, topped with one coat of Seche Vite top coat. 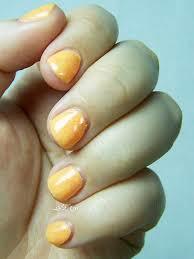 The first thing you’ll notice about this manicure is that’s really orange. The color comes mostly from the glitter. Jupiter has some color of its own, but it’s sheer and not immediately visible. What Jupiter does here, though, is assimilate each individual speck of glitter into one orange entity. Only the large glitters still have definition; the finer glitters look like grit or bubbles in the color, at least in photos. It’s not that bad without the bright studio lights bearing down on it. 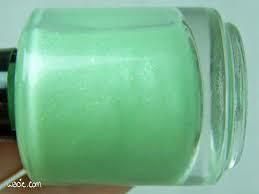 You may also notice the polish looks quite thick. That’s very accurate. In all, I have seven coats of stuff on my nails. Apart from base coat and top coat, I have two layers of Jupiter, the glitter, which is about as thick as two coats, and two more coats of Jupiter. Firecracker is a pretty chunky glitter, so Jupiter acts as a smoother here as well as a color; my nails are totally smooth to the touch. They are, however, one step away from being gumballs, and I acknowledge that. One last thing: I tried a real macro shot! I got a new phone with a pretty nice camera, and thought it was worth a shot. If you’re reading this, you’ve scrolled past it, but there it is. You can really see what I mean about the glitter losing its definition. It looks like it’s out of focus because the lines of the glitters are blurry, but it’s really just the sandwich blending it in. Firecracker is from Sephora. Jupiter is from American Apparel.